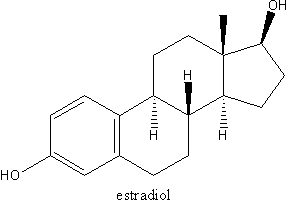 DEAR AFI: I was just prescribed Estrogel. I haven't had a period for six years. I've been taking black cohosh, evening primrose oil and isoflavones. Should I take these herbs while on Estrogel? - GJ. GUEST RESPONSE: You can safely take those products with Estrogel (hormone replacement), but you may find you do not need them. Presumably, you are having menopause symptoms despite taking those supplements and that's why your physician prescribed the Estrogel - to alleviate those symptoms. Make sure your doctor knows about the supplements you are taking. Also, if you have a uterus, you will need to take a prescription of progesterone to protect against uterine cancer. - Tori Hudson, N.D.
DEAR AFI: What effects can antidepressants or other mental health medications have on symptoms of perimenopause? Can perimenopause cause mood swings, sense of anxiety and growing panic? What is the best way to? stabilize these emotion? - E. B.
AFI: Studies have shown that antidepressants may reduce a menopausal woman's hot flashes. It appears that this effect may be dose related. In other words, a high or low dose may not work to reduce hot flashes, but an intermediate dose may be helpful. If you are wishing to use anti-depressants for this purpose, you should speak to your physician about what is known about the specific anti-depressant that you are taking. Some women do find that they experience mood swings and anxiety more strongly as they move towards their menopause. It seems as if the premenstrual symptoms (PMS) get stronger as a woman moves toward her last period. PMS symptoms include sore breasts, fluid retention, bloating, headaches, constipation, insomnia, mood swings, anxiety, depression and feelings of anger. If these symptoms are particularly problematic for you, then you should see your health-care provider to ensure that there are no physical reasons for these symptoms. A good check-up should rule out issues such as an overactive thyroid, which may contribute to symptoms such as those you are concerned about. Understanding that these symptoms are transient and will improve may help you cope better. There are lots of things that you can do to reduce your symptoms and help you get through this challenging stage of your life. Exercising regularly raises the hormone endorphin in your brain, which is a natural pain killer and anti-depressant. Eating small amounts of food every few hours helps to stabilize blood sugar and thus your moods. Avoiding caffeine and other stimulants can help with the anxiety. Some women find that increasing their calcium and magnesium intake can help to reduce symptoms (this is also helpful to protect your bones!). Taking 1,200 mg of calcium is the recommended amount for PMS symptoms. Some women have found relief with taking 50 to 200 mg of vitamin B6. You need to be careful not to go much higher as you may run into some side effects at higher doses. Counselling with a licensed psychotherapist or social worker may also be helpful. Often, women find that mental health issues crop up that need to be addressed. Learning new ways of dealing with stress with new coping mechanisms can also make this transition smoother. You may want to read Menopause and Emotions: Making Sense of Your Feelings When Your Feelings Make No Sense by Lafern Page (Vancouver: Primavera Press, 1993). Any help for a pounding, menopausal head? DEAR AFI: As I approach menopause - I am nearly 52-1 have experienced more and more headaches (I never really had them before!). I find it difficult to work, especially on the computer - the glare nearly sears through my brain. Over-the-counter headache remedies have not helped, so I finally went to my doctor and she prescribed something much stronger. The headaches are still there but they're not as debilitating. I have been told that once I finish menopause, the headaches will disappear. Please explain why headaches happen during menopause and please, please tell me that they will be over soon. - N.T. AFI: No one knows exactly why headaches start or get worse as a woman approaches menopause. It may be that the fluctuating hormone levels that a woman experiences as she moves toward her menopause may be the culprit, but no one has proved this. Most often the headaches do improve significantly or disappear once a woman has finished her menopausal transition. There are a few things you can do to help. Headaches tend to be lessened if you lead a very regimented life. This means going to bed at the same time every night, getting up at the same time every morning (even on the weekends! ), eating at the same time every day, four to six times a day. Exercise is important and you should get some exercise every day if possible. You may notice that there are certain foods that exacerbate your headaches: aged cheese, red wine, MSG, meats with a lot of chemicals in them (processed meats) and citrus fruits. Weather patterns, including barometric pressure changes, may also trigger headaches. Some women have had some success with complementary treatments such as acupuncture, homeopathy, magnesium supplementation, Omega 3 supplements and physiotherapy. If you are interested in these treatments, it may be worth consulting a qualified practitioner about them. Since you seem to find that the computer is particularly hard on your head, have you considered checking to see if you need special glasses for your computer work? Eyes change with age, and it may be that glasses made specifically for working on the computer may help. Hang on. Your situation should improve. DEAR AFI: Two years ago, I was diagnosed with osteoporosis. I've been taking Fosamax ever since. My bones seem to be getting better, but I hate taking the drug because I have to swallow it on an empty stomach and stay upright for 30 minutes. Lately, I've been having a bit of heartburn and I am afraid the drug is damaging my digestive system. My doctor doesn't want me to stop because the Fosamax is working. What else is there? - K.D. AFI: Since the Fosamax is helping, it would be nice to stay on it if you can. There is a form of Fosamax that you only have to take once a week. This may be gentler on your digestive system and easier to swallow. There are other medications that are used for osteoporosis such as Didrocal and Actonel, which you could discuss with your physician. Don't forget that it is important that you make sure that you are getting enough calcium and vitamin D (1500 mgs of Calcium and 800 IU of Vitamin D) every day. Weight bearing exercise and flexibility exercises are also important to help protect your bones. DEAR AFI: I am 48 years old and I've been without a period for almost a year. Lately, when I get out of bed, my heels are sore to walk on - but not always. I can't explain it away - I don't jog, and I don't stand on my feet all day. What could be causing it? Could it be related to menopause? - J.L. AFI: Some menopausal women complain about sore heels. It is important that you see your health-care provider to rule out a condition called plantar fasciitis (heel spurs). This condition can cause heel pain and requires some treatments, including special insoles for your shoes in order to help the pain resolve. If this is simply heel pain related to menopause, then this should resolve as you move through your menopausal transition. * Responses to questions are intended to offer helpful information and do not replace the advice of your personal health practitioner.